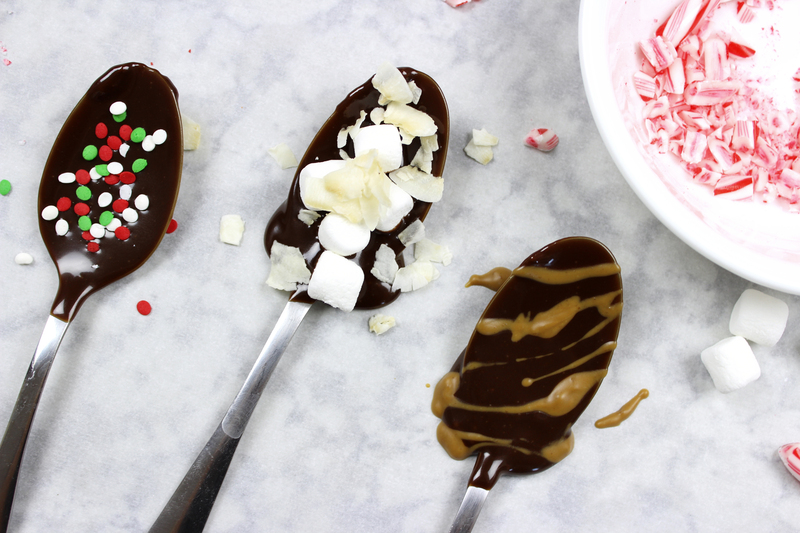 Coming hot with these cute a** spoons! 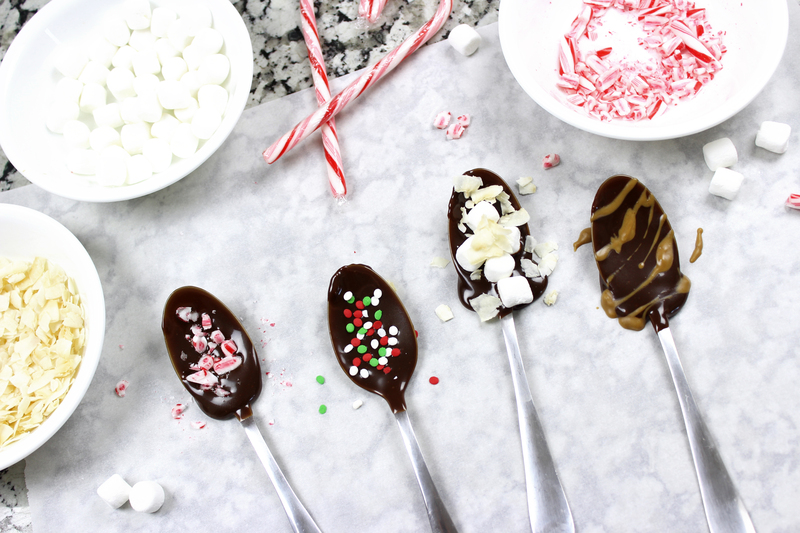 Aren’t they perfect for the holidays? 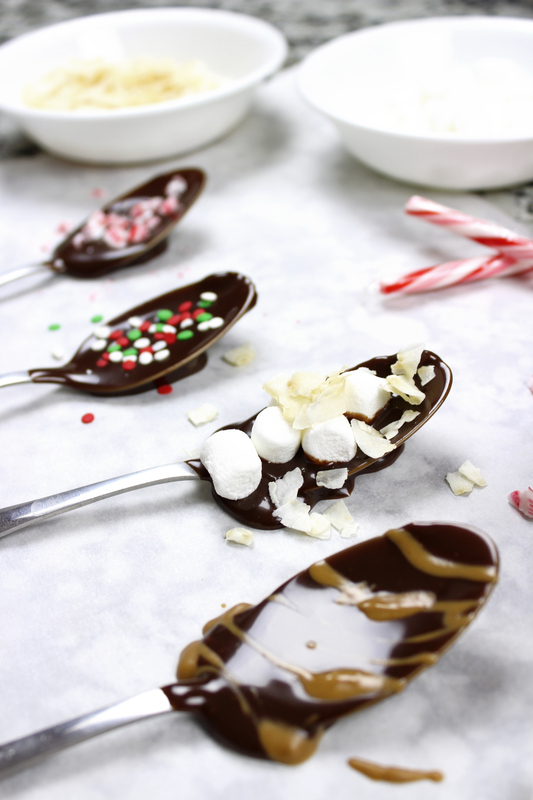 Lick them for a post-dinner snack or mix them in your hot chocolate or coffee! 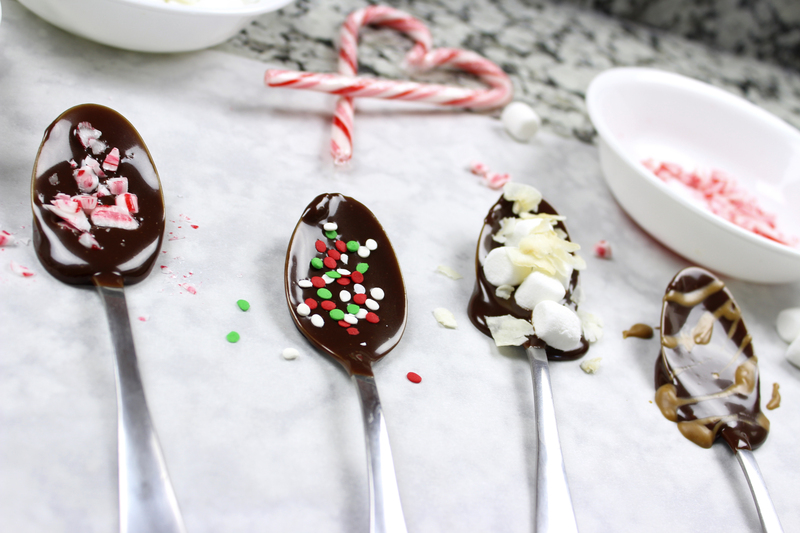 You could make them on plastic spoons and give pair them with a mug as a cute DIY gift, too! 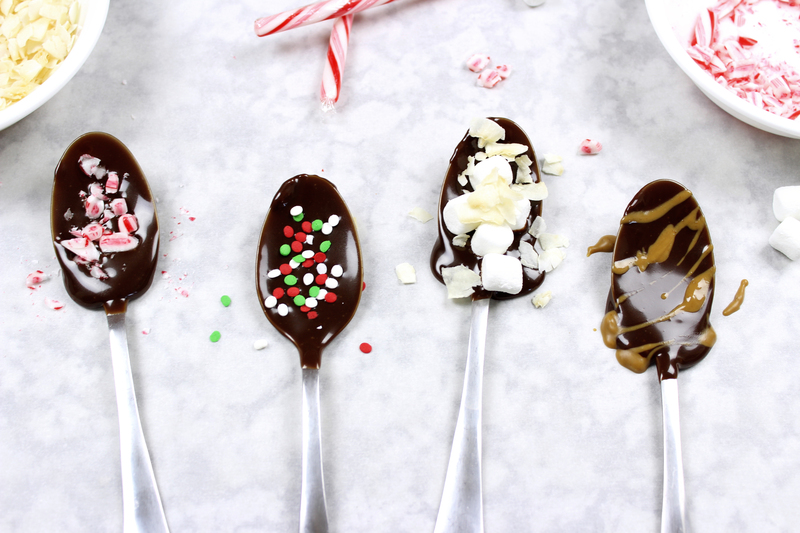 All I did for these was dip them in melted chocolate and sprinkle festive toppings on them. My favoriteeeee is the chocolate + Trader Joe’s cookie butter. HEAVEN.